Kuan Yin Bodhisattva | Sana Ako si Ricky Lee! Chant – A – Mantra (11):For Impossible Financial, Health and Relationship Problems Chant the Miraculous Response Mantra of Bodhisattva Kuan Yin! If you find yourself in deep trouble be it financial, health and / or relationships, by chanting this mantra, you will find that by chanting this mantra your problems will gradually ease up. This mantra is usually chanted after reading a sutra of Kuan Yin, like the Universal Gateway of Bodhisattva Avalokitesvara (Kuan Yin, Guan Yin, Kuan Shi Yin, Guan Shi Yin, Kannon). But there it is usually chanted three times only. However, if you find yourself in deep trouble, chanting this mantra should help gradually, but there are certain rules that you need to do to make Bodhisattva Kuan Yin’s Miraculous Mantra. First, one should go vegan (no meat, no eggs, no fish, no chicken, no milk, no cheese, no butter, no fish sauce, no marshmallows or gelatin) for three days before starting the mantra. On the fourth day you can start chanting the mantra, but make sure that you remain vegan all through out you’re doing the mantra, up to 7 days after you have received your wish or when your problems has eased up. The mantra should also be chanted between 6AM and 9AM everyday for 1080 times (10 full malas) under deep meditative level. I once recommended to a reader whose mother is in comatose, after ‘religiously’ doing this ritual for 2 months, her mom went out of coma, and doctors say that it’s a miracle. 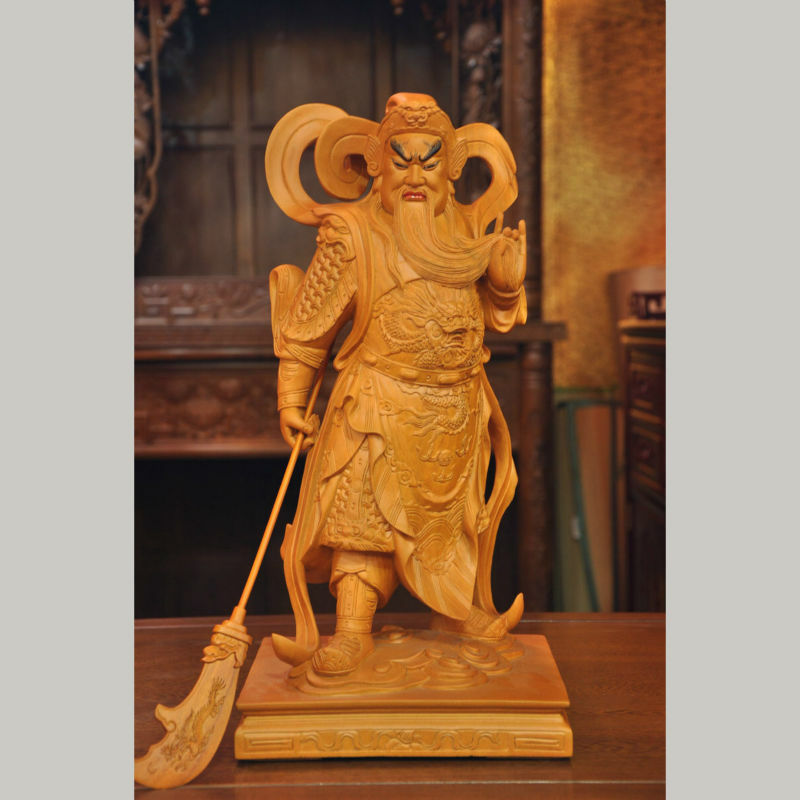 Feng Shui and Buddhist Love Spells and Love Rituals! I don’t know whether you have notice this but I don’t really write a lot about Feng Shui love rituals or Feng Shui love spells for that matter. The longest article I have written about the topic was written several years back, and quite surprisingly it is constantly one of the most read article of this blog. However, since a lot of you have been sending me emails or messages asking questions about how to attract love or on how to reignite the flame of love, this is especially true for those who are already married. Today, allow me to share with you some of the said rituals that have worked for some readers and acquaintances or friends. Thought of writing these now because it is the month of love and February 14 is Valentine’s Day! I will avoid writing about those things that I have written in the past, but will instead focus on those that I have never talked about on this blog before. You will need four white votive candles, one pink votive candle, and one red votive candle. Preferably they should all be of the same size. Do this ritual in a private place where you can have a small pool or a tub or Jacuzzi. If the tub or Jacuzzi is in the same room as the toilet, make sure to do a thorough physical and auric cleaning first by scrubbing the whole bath and toilet with salt water. Place all the white votive candle on the side of the pool or a tub or Jacuzzi. Follow the compass directions East, West, North, and South. Light them starting from the East, followed by South, then West, then North. Position yourself on the center of the tub or small pool or Jacuzzi then light or as a trusted friend to light the pink and red candle first. Have a small container to hold them so that the wax doesn’t drip on your palms. Then visualize that the light from the pink candle (which should be on your left hand) goes clockwise mixing with the light from the red candle (which should be on your right hand). The light covers you going a clockwise direction. Then imagine that the light from the four white candles becomes a protective shield for you. Do this visualization for about 5 to 10 minutes for 7 days. Making sure that the fire from the candles melts the wax completely. After each visualization you can put the red and pink candle aside still lighted. I first learn of this ritual several years ago, when I was still trying to learn Feng Shui. A colleague wanted to do a love ritual that will help her get the love and a partner in life. She did this, and two months after she met a guy who will later on become her husband. She believes that it was this ritual that brought her husband in her life. They have now married for 17 years and have two daughters. According to my Feng Shui teacher the same ritual can bring back a lost love. INVOKING THE HELP OF BODHISATTVA KUAN YIN TO BRING BACK A LOST LOVE. A BUDDHIST LOVE RITUAL. This is perhaps one of the most powerful Buddhist love ritual that I have recommended. Several of my readers and friends have tried this and all attest to its power to bring back a lost love. However, this ritual only works if the lost love is only due to minor karmic predicament, and not ancestral problem or not a very strong flaw in the Bazi chart or Paht Chee chart of the couple. I noticed that this is mostly for married couples. The ritual is quite simple. All you have to do is write your name and birthday and that of your husband or wife or partner in a small piece of plain white or plain yellow paper. Make sure that you use red ink. Go to a temple or if you have an image of Kuan Yin Bodhisattva (Guan Yin, Guan Shi Yin, Kuan Shi Yin, Avalokitesvara, Kannon). Light three incense sticks and say: NAMO KUAN SHI YIN PUSA (3X), MAY I AND –name of your partner- RECEIVE THE BLESSING OF YOUR COMPASSION SO THAT OUR RELATIONSHIP WILL STRAIGTHEN OUT. Then chant 108x (one full male) of OM MANI PADME HUM. Then place the piece of paper at the foot of the image of Bodhisattva Guan Yin. Do this either in the temple or on your own altar. Doing it in the temple and placing the piece of paper at the foot of the image of Bodhisattva Guan Shi Yin in the temple is better and it will work faster, however, you have to make sure that the temple allows it. I have recommended this several times to my readers, I would say there are about 19 people/couple who have tried it. Only one claims that it didn’t work for her, and I lost contact with another one. THE 100 DAYS FENG SHUI LOVE RITUAL TO BRING LOVE INTO YOUR LIFE. If you are single and wants to be in a relationship, you should get yourself a locket and on a small piece of plain yellow or plain white write your name with a red ink and your simple wish. Place it inside the locket and everyday of 100 days; place a fresh petal inside the locket. The petal should be pink or red in color. Place the petal in the morning before 7AM, and take it out the following morning replacing it with a fresh petal. Do it for 100 days. And you soon find love. I have several readers, who did this, and what is amazing about this is that not all of them found love of a partner; sometimes they just learned to love themselves. I’ve shared before about this Chinese woman who with the use of Surangama Mantra Amulet and some Feng Shui was able to find a husband for her daughter. The Surangama Mantra Amulet when worn is said to attract and activate your connection with the heavenly beings, so much so that they ‘hover’ you. This does not only become a protective amulet but it gives you charisma and charm also because it lightens your aura. 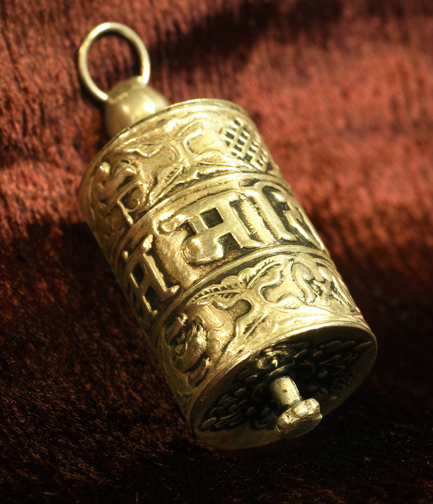 My Guru Lama has a treasure trove of stories that I will share in the future posts about people who were able to find love or bring back a lost love when they started wearing the Surangama Mantra Amulet. I would like to clarify though that the Surangama Mantra Amulet should not be considered as a love amulet, although it has that kind of effect. TAP INTO THE POWER OF A TRADITIONAL SUTRA AMULET TO GET RID OF THE HINDRANCES THAT PREVENTS US FROM RECEIVING THE LOVE WE HAVE. Recently, I wrote about the story of Grace who got separated with her husband, and along with receiving some financial blessing, also reunited with her husband because of the Traditional Sutra Amulet. There are different Traditional Sutra Amulet (TSA) and all has the power to shower us the blessing of acquiring our wishes be it financial or love or relationship luck. The one used by Grace was THE DIAMOND SUTRA, but for love luck that is experiencing some road blocks or hindrances, THE AVATAMSAKA SUTRA is the best, this works specially well for those two people who are in love but are victims of circumstances. For examples, parents are not in favor, third party, poverty, etc. All you have to do is put your name and that of your partners name on piece of plain white or plain yellow paper. Use red ink. Then just place it inside the TSA. But as you can see, Grace need not do this. She just had it and it worked for her. There are a lot of other ways to attract love or mend a lost love. In fact, my Guru Lama performs a special ritual for selected people to get two people together. But this ritual is only for couples that are definitely for each other but are broken apart by different circumstances. Remember the rituals mentioned above will only work if you are also meant for each other. It is not witchcraft to make people fall in love with you, but rather it simply eradicates the hindrances. From Miserable to Charitable: A Transformation of A Reader Who Experienced Some Blessings Because of the Vajrapani Ruel and the Surangama Mantra Amulet! 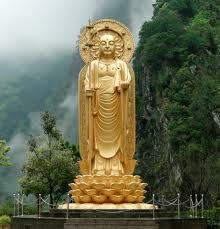 Basic Buddhism 6: Bodhisattva Mahasthamaprapta – A Powerful Bodhisattva That Gives Us Inner Strength! Today, you will receive two different posts. I have written these articles in advance already and are scheduled for automatic posting because one is the birthday of the said Bodhisattva, and the other is to give you enough time to prepare for the ritual. 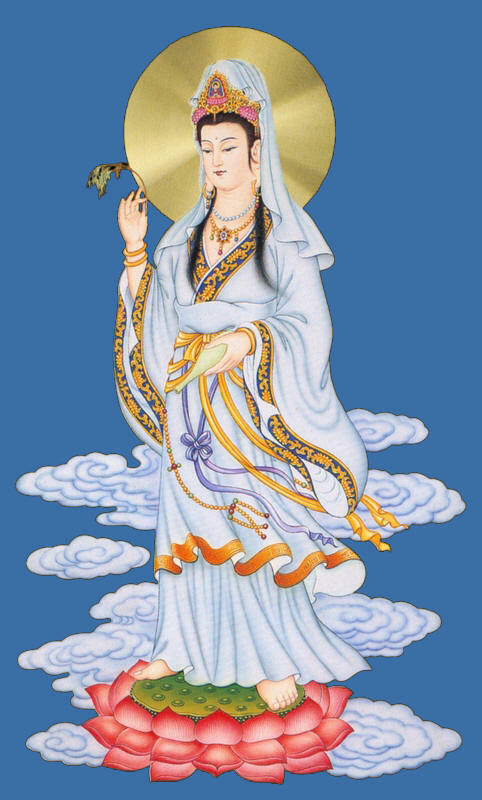 It is quite exciting for me to write this post because on this post I will be introducing you to another powerful and highly revered Bodhisattva that is usually mistaken as Bodhisattva Kuan Yin (also spelled as Guan Yin, or known as Avalokitesvara, Kannon, Cannon, Guan Shi Yin, Kuan Shi Yin). Mahasthamaprapta Bodhisattva, like Kuan Yin Bodhisattva is actually a Bodhisattva Mahasattva, which means he is one of those higher Bodhisattvas. Mahasthamaprapta Bodhisattva is also known in Chinese as Da Shi Zhi Pu Sa. He is actually one of the three sages in Pure Land Buddhism that can be differentiated from by Guan Yin Bodhisattva with the jeweled pitcher adorning his/her crown. In Pure Land Buddhism, Mahasthamaprapta Bodhisattva is usually depicted in his/her female form. A lot of Buddhist lineage considers Bodhisattva Mahasthamaprapta as representing wisdom, which makes him/her similar to Bodhisattva Manjushri. However, the difference, as his/her name means “arrival of great strength”, her form of wisdom is more in the form in inner strength in times of adversity. Mahasthamaprapta Bodhisattva or Da Shi Zhi Pu Sa is part of the Amita Trinity, which consists of Amitabha Buddha, Guan Yin Bodhisattva, and Mahasthamaprapta Bodhisattva. He/She is also one the Eight Great Bodhisattvas in Mahayana Buddhism, here he/she is along with Bodhisattva Kuan Yin, Bodhisattva Ksitigarbha, Bodhisattva Manjushri, Bodhisattva Samantabhadra, Bodhisattva Akasagarbha, Bodhisattva Sarvanjyarana – Vishkambhin (which I will write about soon), and Bodhisattva Maitreya or is more popularly known as the Happy Fat Buddha. Some Buddhist lineages sometime equate Bodhisattva Mahasthamaprapta with Bodhisattva Vajrapani, which makes her a very powerful Bodhisattva. 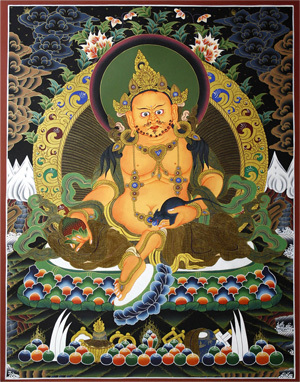 Like Vajrapani Bodhisattva, she is also considered as a PROTECTOR OF THE BUDDHA. The SUTRA OF INFINITE LIFE talks about Mahasthamaprapta Bodhisattva in high regards. In the Shurangama Sutra, Mahasthamaprapta tells of how he gained enlightenment through the practice of Buddha recitation, or continuous pure mindfulness of Amitābha, to obtain samādhi. In the Contemplation Sutra, Mahāsthāmaprāpta is symbolised by the moon while Avalokiteśvara is represented by the sun. Mahasthamaprapta (Sanskrit, “One Who Has Obtained Great Power”) awakens in humans their need to be liberated from Samsara. In Pure Land Buddhism he is often paired with Avalokiteshvara in association with Amitabha Buddha; Avalokiteshvara enacts Amitabha’s compassion, and Mahasthamaprapta brings to humanity the power of Amitabha’s wisdom. 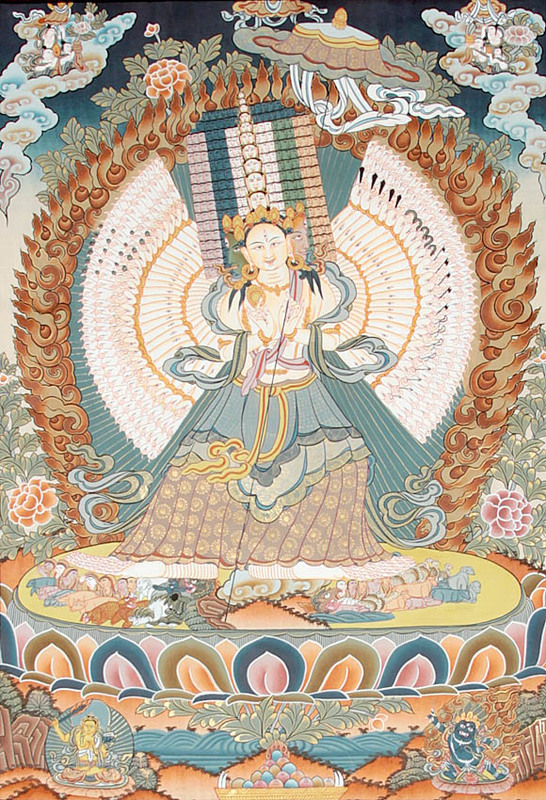 Today is Bodhisattva Mahasthamaprapta’s Birthday or Feast day, and by chanting her mantra, we will definitely get some blessings. But more than that Mahasthamaprapta Bodhisattva’s is a great Bodhisattva to help us overcome addictions, or problems that has something to do with inner determination. 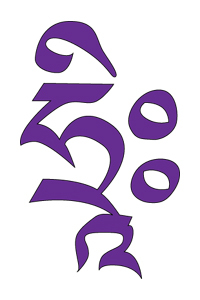 HUM VAJRA PHAT (pronounced as Pay) OM VAJRA CHANDA (pronounced as Zhanzha) MAHA RO (pronounced as Luo) KHA NA HUM PHAT (pronounced as Pay).